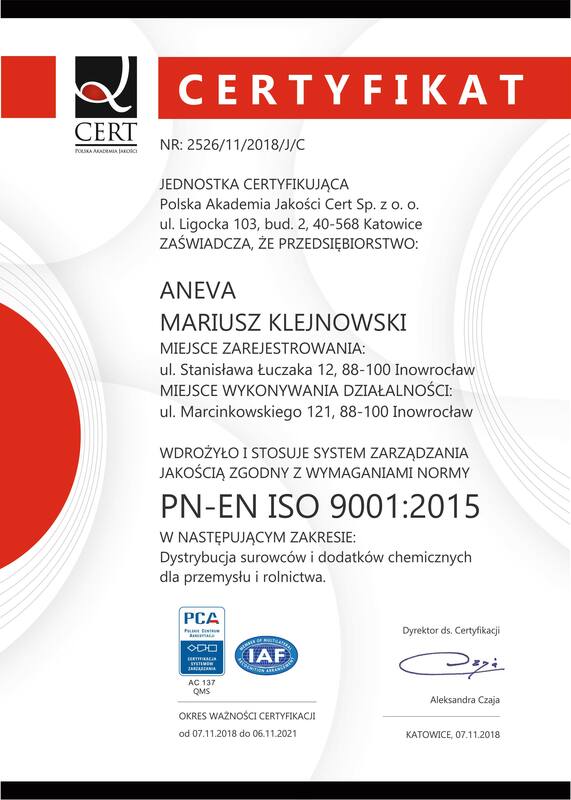 The Aneva company was founded in 2009. We deal with trading raw materials, products and chemical intermediates for industry. Thanks to the cooperation with many well-known and respected producers, we are rapidly expanding the range, adapting it to the needs of our clients and market requirements. It helps us with our many years of experience in conducting organization and chemical distribution.